Make money with AEBN sales tools or white label theater. AEBN offers multiple revenue generating solutions for adult website operators of all sizes. Enjoy a competitive tiered payout system that will scale with your sales volume, allowing you to make up to 50% on sales generated through your site. We also offer extensive performance statistics that will give you solid data to make smart decisions. You make money when a consumer makes a purchase on your theater. The more sales you make, the greater your percentage of the sale. The Pitch Slider tool allows you to display the same custom pitch graphics that appear at the top of the AEBN theater system. The Top Stars tool updates weekly and spotlights the current most popular stars from across the AEBN theater system. The Hosted Movie Update tool allows you to place the latest movie box covers on your site. 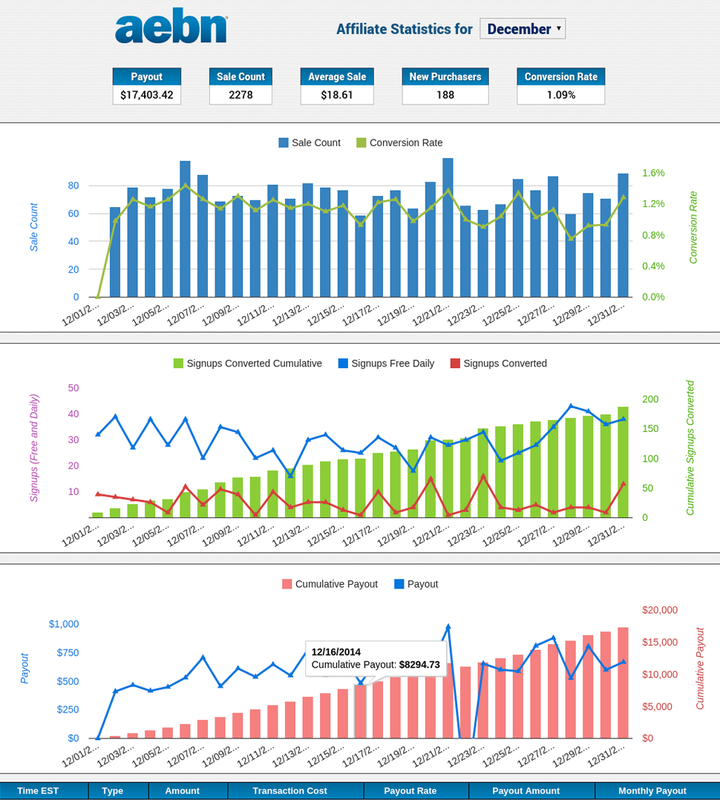 Get up-to-date graphs and stats that allow you to see how your theaters are performing.